How much of the MLS expansion fee is for the team? As anybody following the business side of American soccer knows (and we’ve discussed) MLS started Soccer United Marketing (SUM) to help diversify its income streams and capitalize on the growing market for soccer in this country. Private equity firm Providence Equity bought a 25% stake in SUM in 2012 for $150m. 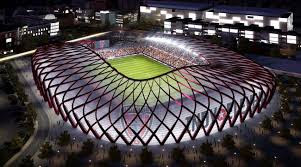 MLS for the last several years had been attempting to purchase back this 25% stake… recently they were able to make this happen. According to Bloomberg (READ IT HERE) Providence Equity tripled their initial investment when selling their shares back to MLS. Providence Equity Partners has sold its interest in Major League Soccer’s media and marketing arm back to the league, which is eager to capitalize on the growing interest in U.S. soccer around the world. The private equity firm tripled its initial investment in Soccer United Marketing, according to people familiar with the accounting. Providence paid $150 million for a 25 percent stake in 2012. Six teams have joined MLS since then, diluting Providence’s original share. This $450,000,000 price tag for a diluted portion of SUM puts its valuation to at least $2.25 BILLION dollars (that figure was achieved not accounting for dilution created by LAFC or Miami which may have already happened that would drive the overall valuation higher). This chart created by @RandomBlackRain on Twitter shows how much per team this figure equates to. As we can see currently a 22 team league puts SUM’s value at over $100,000,000 per team. With reported Real Salt Lake $10M, Toronto FC $10M, Portland $34M, Montreal $40M, Orlando City $70M, Minnesota United FC $100M, and New York City FC $100M expansion fee payments some investors have already made quite the ROI with just their equity in SUM. The argument often times made by those wanting to keep the current league structure is that “owners who paid this huge expansion fee for their team will lose tons of money”. I think we can plainly see that owners at this point actually are not paying the huge fee to buy a team… they are paying a huge fee to buy in to SUM. The current LAFC expansion fee price of $110m would make the team itself cost less than $13,000,000. USSF right now can step in and outlaw the single entity structure of MLS in the US open up the pyramid and that would require a separation of the 1st Division MLS and SUM. This separation would allow current investors in MLS to retain BILLIONS of dollars in equity via their ownership stake in a newly spun off and highly profitable SUM. They would also retain ownership in an independently controlled 1st Division soccer team that they would be free to sell on the open market to any other investor if they were not interested in retaining ownership of an open system team. This seems like a Win/Win for soccer in the United States AND the business of the sport. Initial investors in MLS who helped to prop the league up during its lean years now own a multi-billion dollars sports marketing company and retain ownership of their independent 1st Division soccer teams. New and old investors in the lower divisions of the sport would also now have the ability to grow their teams and achieve sporting glory by making it to the 1st Division. I would love to hear your opinion in the comments or on social media using the #ProRelForUSA hashtag.